This Hunter Series Single Kennel Dog Box is our largest single compartment Hunter Series dog box, making it an excellent choice for taller dog breeds. 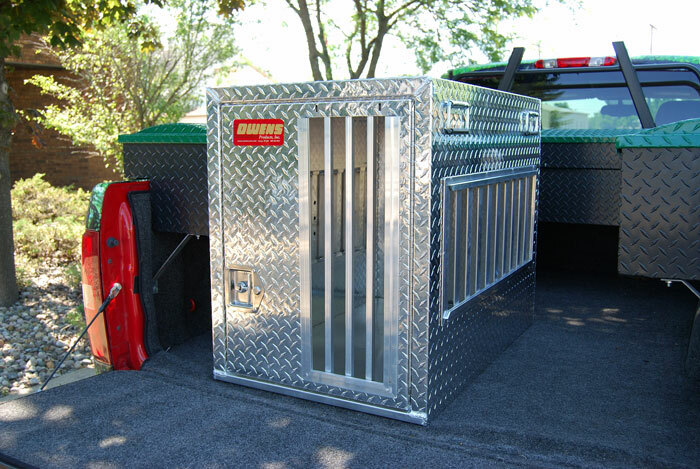 This aluminum dog box features heavy-duty diamond tread construction, a large vented door with lockable slam latch door and large oversized side vents. All vents come standard with aluminum storm covers. Stiffeners are welded in both door and latch side corner of box for extra reinforcement. 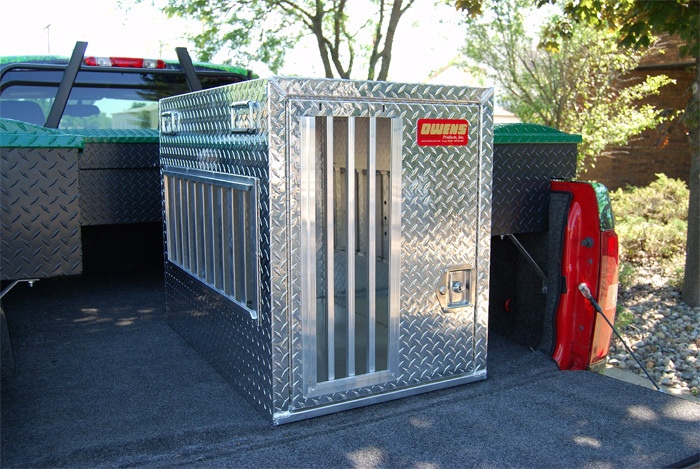 The rear and top of the dog compartment is lined with plastic corrugated material for added insulation and has a rubber floor mat for added comfort for your pet. It also has 4 handles (2 on each side) to aid in handling. ** Don't forget to add any accessories you might want for your dog box, such as cooling fans, D-ring tie down kits and more! Just click the checkbox next to each of the accessories you want to add within the Optional Add-ons section above. The cost of the accessory will be included in your dog box price automatically. By adding your accessories now, you won't pay any extra shipping and we'll even give you a discount off our normal retail price of these same items found elsewhere in our store.